I’m not over with “Memoirs of A Geisha” by Arthur Golden, yes, I know that I was left too far behind from this book was published for the first time or even from its movie first coming out. However, there were few places which were written in the book that I want to share. 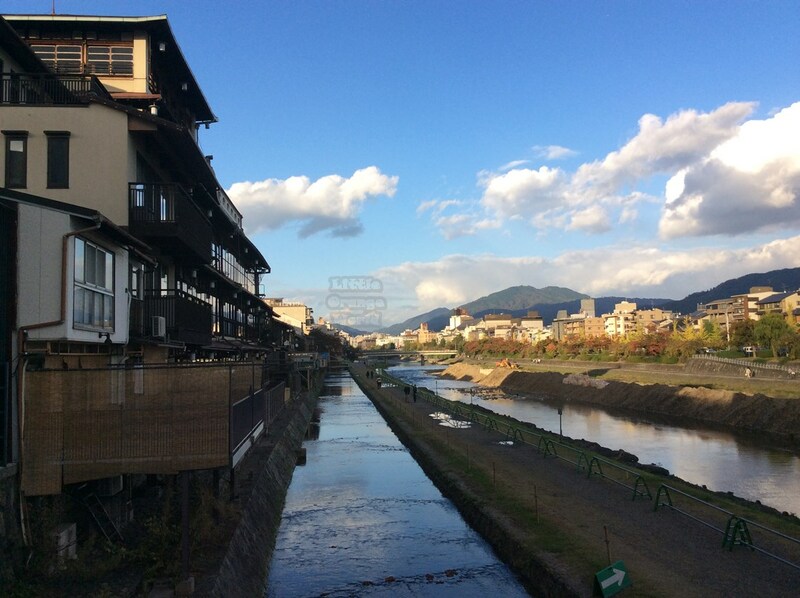 River or stream was mentioned so many times in the book, but as far as I remember, the only one river that flows close to Gion District is Kamogawa River, one of the most popular spots for both tourist and Kyoto resident. 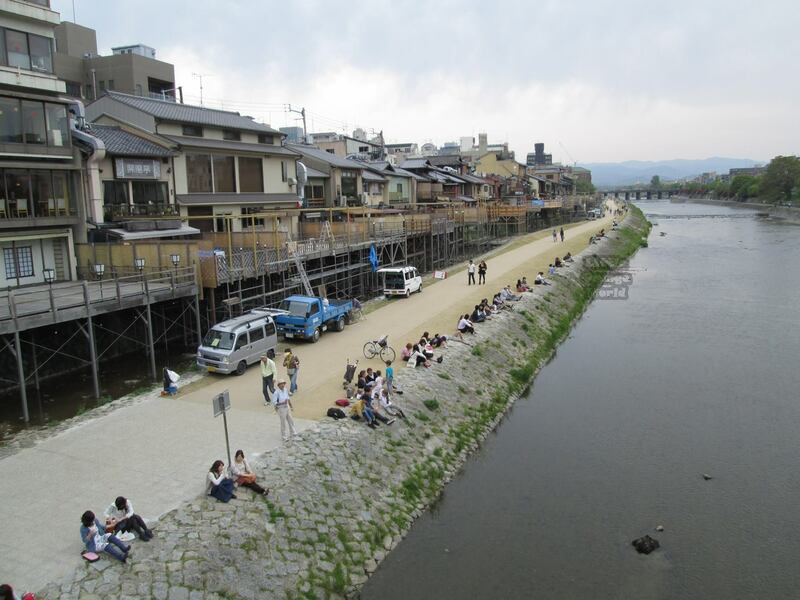 Spending time to enjoy sitting, chatting, and eating or having a walk through the riverbank of Kamo River, either at the early morning or evening had always been listed on my itinerary during our trip to Kyoto. Unfortunately, I haven’t been able to comply it, either I woke up too late or it always already too dark to walk through the riverside at the evening. I’d never made it. TT___TTThe only comforting thing between Kamo River and me was, I still enjoyed its magnificent sight each morning while crossing the bridge. At least seeing the others did it on my behalf (self convincing, though) was good enough. I noticed that the plot in the book was happened a few times at Kyoto Station, especially at the first time when the main character entering Kyoto City, or just being mentioned when they passed the building. I think, we could not talk about traveling to Kyoto without mentioning one of this city icon’s landmark and it also holds the second position as Japan’s largest station building. When I first stepped on the station’s platform and then entered it, I thought that I might could find anything that I wanted there because the building itself offers a full range of facilities (guide book wrote it too), such us hotel, theater, museum, a department store, a tourist information center, restaurants, and so many shops. My friend and I even did shopping, breakfast, dropped baggage, and sight see at Kyoto Station. 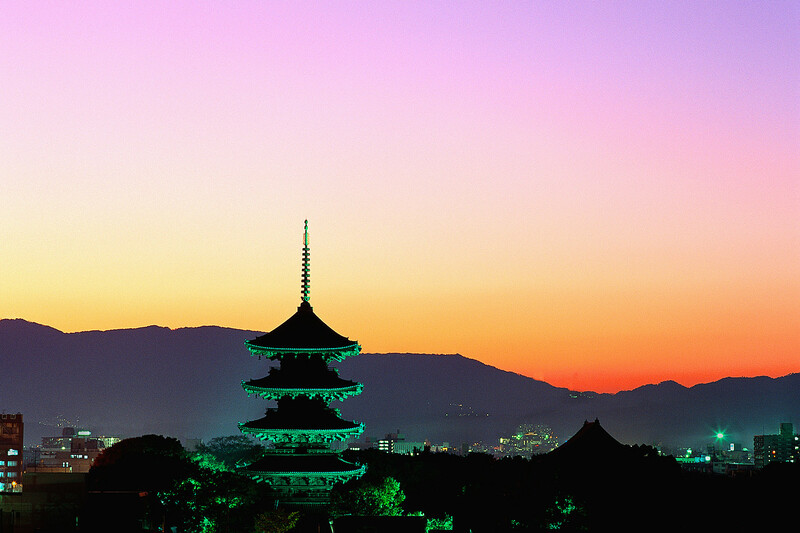 Besides all of those appealing facilities, there is one more thing that the station offers, Kyoto Tower. 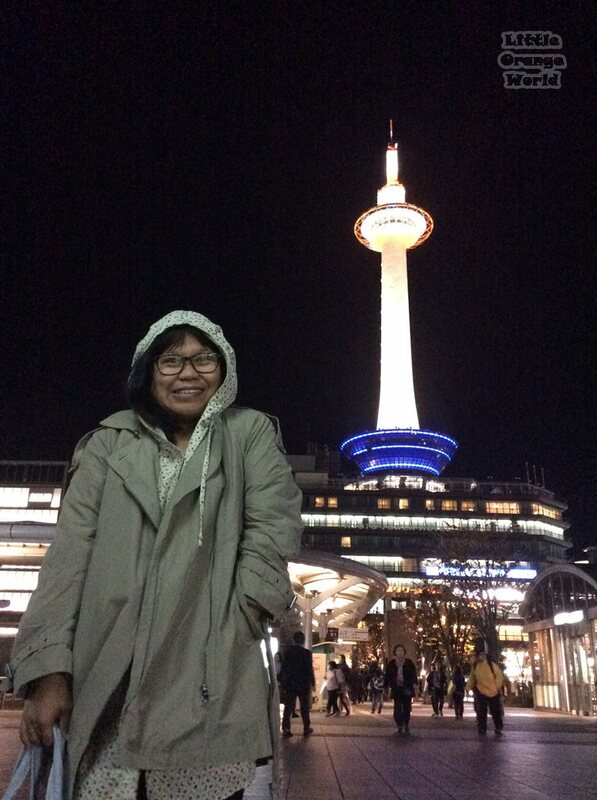 Maybe its popularity is overshadowed by its peer, Tokyo Tower, in my opinion, the feature of Kyoto Tower is not less attractive than Tokyo Tower, especially at night. Where the story was revolved. The other Geisha District where the fancy bars, restaurants, and exclusive entertainments exist. I didn’t make it to the Chion In Temple even though it was on my list. From the guidebook that I have, it’s known as the Awata Palace, once served as a place of refuge for the emperor after a giant fire destroyed much of Kyoto in 1788. 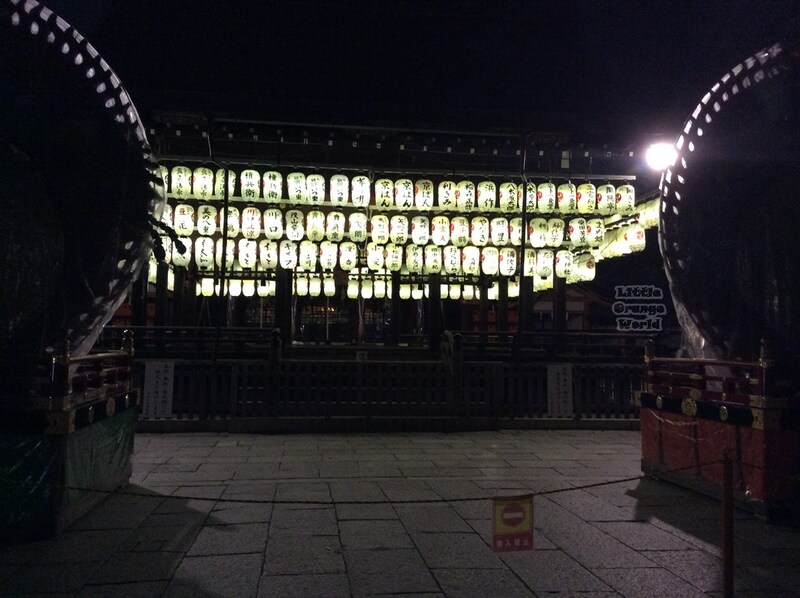 It houses many cultural properties including a drawing of the Fudomyoo-nidoji, which is a National Treasure. While on the book, this temple appeared when mother pray for one of the lost soul in the house. As expected to be mentioned from the shrine which lies exactly face to face with Gion District. Yasaka Jinja Shrine is the most popular destination to pray for the prevention of disease and illness. It is said that the magnificent vermilion gate is an important national cultural asset where The Gion Festival, which known as one of Japan’s three main festival is held here each July. 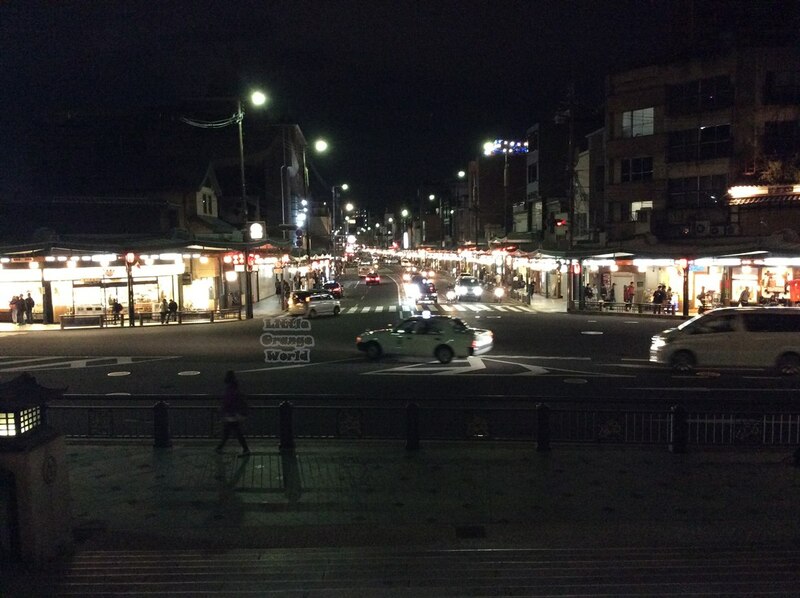 The main street and the largest business district in Kyoto which was called abundantly in the book. Hakone is part of Kanto Region that lies far apart from Kyoto. I noticed this place because I’ve been there before and I agreed when it was told as a retreat area. The last two places are from the movie that I don’t remember ever been told in the book. I give Fushimi Inari Shrine a credit because this is my most favorite shrine (no more words for it, I guess). However, this shrine was a little bit different from what the book had been described. Since I am quite good with direction and map on paper (forget at the actual case), I had Yasaka Jinja Shrine on my mind as a place where Little Chiyo prayed wholeheartedly to become a Geisha after an important meeting with someone important. And the fact that Higashi-Oji Avenue was mentioned along, reassured me that it had to be Yasaka Jinja Shrine instead of Fushimi Inari which lies at the far southern of Gion Area. Ah, if only Fushimi Inari Shrine wasn’t my favourite one, the movie would have ruined my mood completely. Do I ruin your imagination about the places in the Memoirs of A Geisha by Arthur Golden? Love the night visions. Udah baca buku biographynya blom na? Bukan Novel. Itu lebih keren. Belum Ndien, aku lagi nyari juga bukunya, Geisha of Gion, Mineko Iwasaki? gegara pas googling, baca kalo buku yang Golden, terlalu banyak menyimpang, tapi entah mana yang benar yah. Cuma emang penasaran juga. I missed out on Fushimi Inari Shrine on my recent trip to Japan. I soooo wanted to see it! How was it? You said it was one of your favorites. 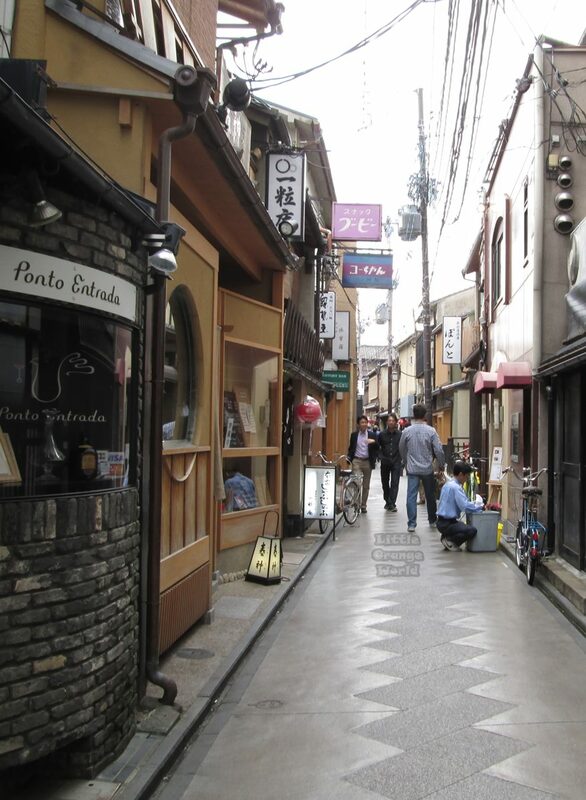 I also wished I took a stroll down Pontocho during the day. That alleyway is just magical! Ow, what a miss because it’s free and indeed beautiful. First, it’s dominated by orange colour, it’s picturesque, the thousands orange torii (Japanese gate that mostly find at the temple and shrine). Have you heard about Sannenzaka and Ninezaka slope? I think you would love it as well. I know, it’s free!!! Which is why it’s even a bigger bummer! Hahaha no I haven’t heard about those two. Will look it up. I think I read that post of yours. Very good write up on the shrine! I recently visited Japan and watched Memoirs of a Geisha on the plane! The whole country was amazing and fell in love with Tokyo and Kyoto! Thanks for sharing! Love your pictures.